As all of you know, I only support brands and products that I absolutely love and that I truly believe make the world a better place. I was so honored when Who Gives a Crap toilet paper brand spoke with me about sharing their mission. In saying that, this might be one of my favorite posts ever. Not because I’m obsessed with toilet paper, but because toilet paper is one of the most predominantly consumed household items. Since everything we buy and everything we utilize has a source, this means that what most of us universally use has a sustainable or unsustainable story! If you know me at all, you know that I would rather choose the sustainable story. Once upon a time, there was a brand. 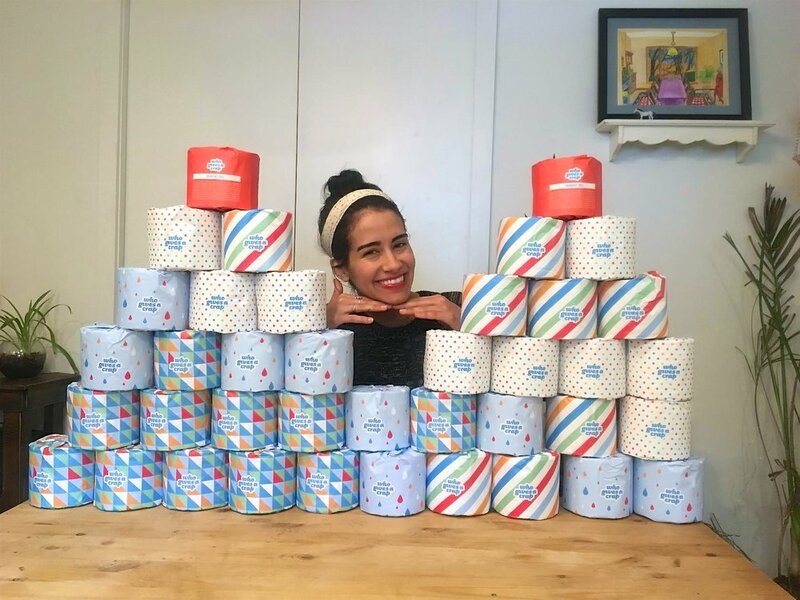 A brand that not only cared about wiping everyones bum clean, but a brand that wanted to support a circular economy rather than a linear one so they use only recycled paper and 100% bamboo for their products. A brand that didn’t only want to clean peoples special areas, but wanted to make a difference in peoples lives that don’t have the privilege of using a toilet so they donated 50% of all their profits to help build toilets to those in need. If that isn’t a sustainable story, I don’t know what is. For those of you who just read "50% of all their profits help build toilets to those in need" and are amazed at this, let me carry on with this information. About 40% of the global population (2.3 billion people) don't have access to a toilet. Around 289,000 children under the age of 5 die every year of diarrheal diseases because they don't have access to proper sanitation and clean water. The fact that so many billions of people were living without a toilet was part of the reason Who Gives A Crap launched into the toilet paper business. My experience as it arrived was pretty dang pleasant because my roommate and I ran out of toilet paper the day before, so our faces as we saw the big box at our door was something similar to waking up to a million holiday gifts. It gets better because when you open the box, it looks like holiday gifts too! 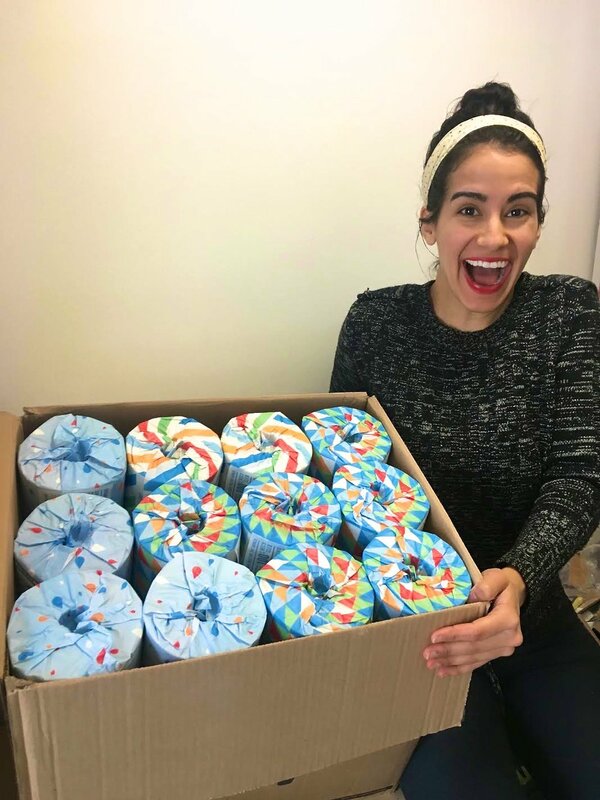 Each toilet paper is wrapped in a colorful and unique paper and it’s entirely plastic free. I never understand why brands have eco friendly toilet paper but then wrap it in such a destructive plastic material. The paper wrappers are fully recyclable and the designs make it pretty exciting to use each roll. The box was easy to store even though we have zero closet space in our home. The toilet paper can be easily stored in the bathroom because it can fit any bathroom aesthetic and makes the room look pretty groovy. Also, to be honest, I didn’t realize that toilet paper could be so nice to use! Its surprising because you think that all toilet paper is created equal but for some reason Who Gives A Crap has made their sheets softer, more durable, and easy to tear - and the texture is even nicer than the other ones. This might be too much information but my room mate was peeing and she yelled at me across two rooms and was like “Why is this toilet paper so nice to use?”. My room mate finding luxury. 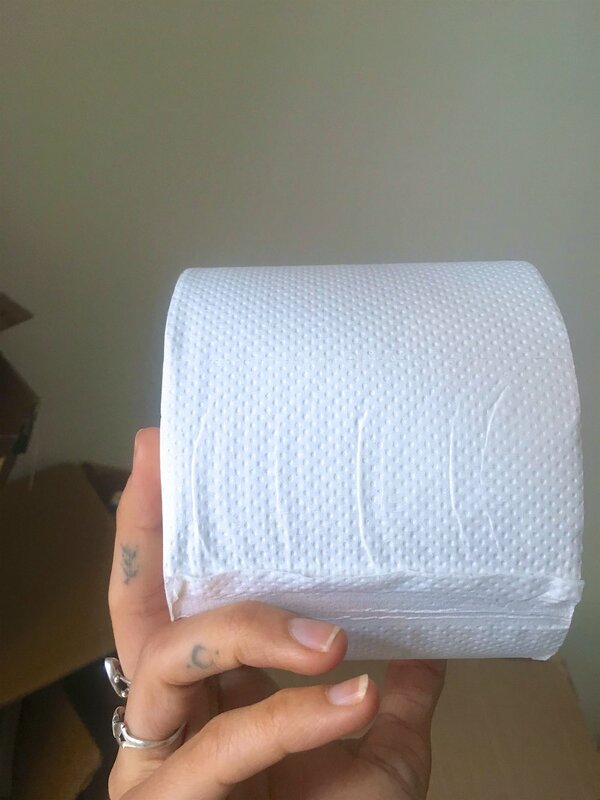 With a toilet paper that is good for the people, the planet, and that booty, you would think this toilet paper would be way more expensive but in fact the opposite. It’s incredibly affordable. If you buy 48 rolls of the recycled toilet paper, you pay 48 dollars which is a good amount cheaper than other brands. All around I’m so pleased with them and I definitely will not seek any other TP brands from here on out! If you want to get $10.00 off your first purchase CLICK HERE!